Dr. Gaudiani regularly speaks on podcasts in an effort to provide medical education and empowerment to patients, their families, and providers about expert medical care and standards for eating disorders. Dr. Gaudiani regularly appears on podcasts in an effort to increase awareness and understanding of the medical complications of eating disorders and disordered eating. 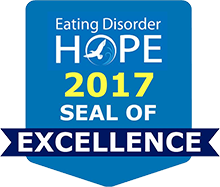 As an expert medical physician treating eating disorders, Dr. Gaudiani is available as a subject matter expert for podcasts and other media appearances. Please direct all media inquiries to info[at]gaudianiclinic[dot]com.